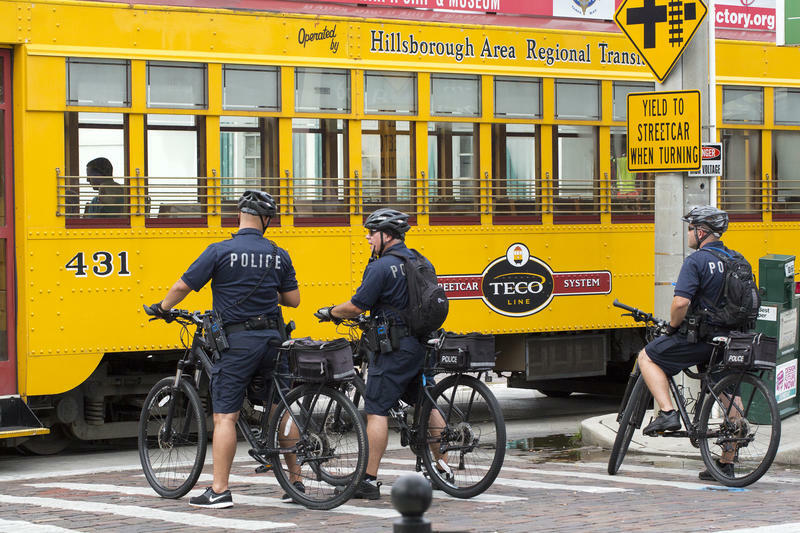 Tampa police officers have used bicycles purchased for the RNC in 2012 for a variety of events. Tampa hosted the RNC in 2012. Tampa P.D. advised Cleveland on how to handle the influx of RNC visitors. Tampa purchased 200 bicycles for their officers to use. The bicycles are an effective means to curbing traffic and deterring individuals from trying to break through a blockade. 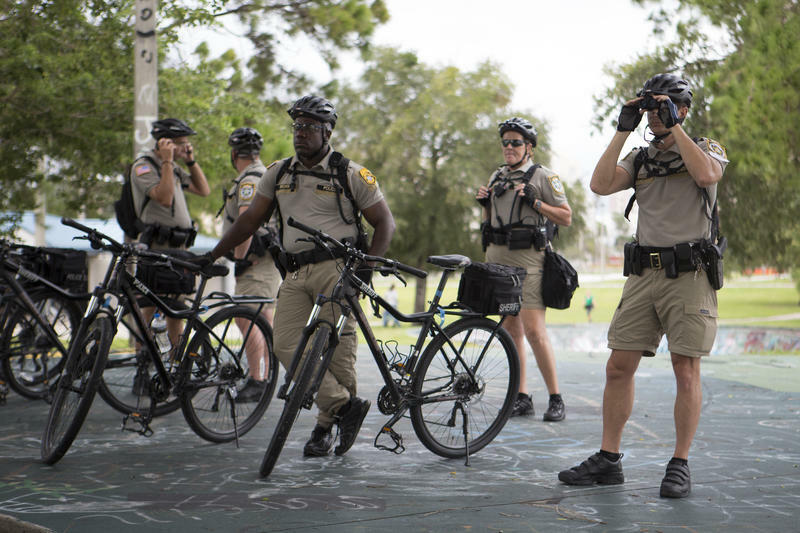 WUSF host Cathy Carter introduces the story written by Devin Rodriguez on how bicycles purchased for the RNC are still being used by the Tampa Police Department. When you are going to host something as big as The Republican National Convention, who do you call for advice? This year's host city, Cleveland, turned to Tampa for advice on just what police needed to keep order with the estimated 50,000 people visiting. The number one answer from Tampa police was bikes. 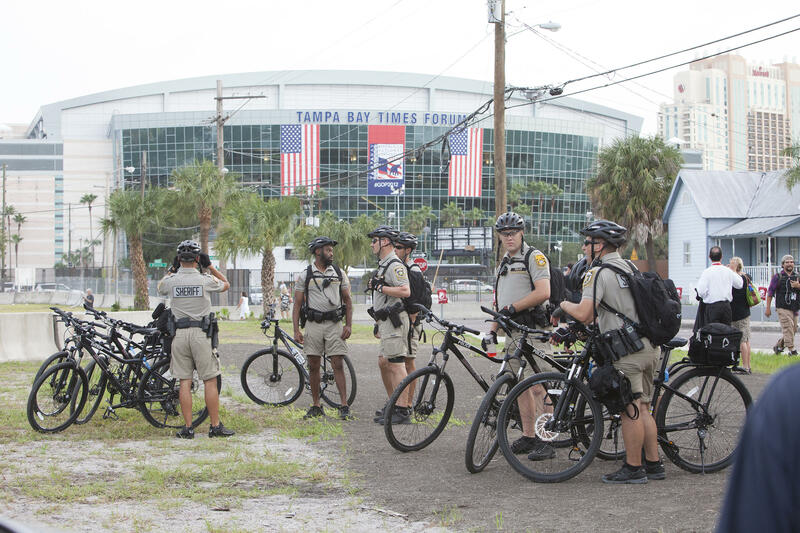 Tampa Police got $50 million in grants to improve their security for the RNC in 2012. With that money they purchased equipment such as security cameras, patrol bikes, new uniforms and protective gear. Tampa Police Chief Eric Ward told WFLA-TV that he suggested Cleveland invest in bicycle officers. Purchased for $319,000, two hundred Kona bicycles were utilized by the police to direct crowds and traverse the cluttered city streets while the RNC took place. These bicycles were outfitted with lights, sirens, special tires and frames, according to Creative Loafing. Police Spokesman Stephen Hegarty said they're still on the street. “The bikes are a great resource. We bought the bikes and trained our people to use them. Last weekend we used them at a protest,” Hegarty said. There was a peaceful Black Lives Matter protest in Ybor City on Saturday, July 16. Uniformed police officers helped direct the protestors using the bikes purchased for the RNC. The department also used mobile surveillance cameras for bigger events like Gasparilla and the cameras were loaned to St. Petersburg for the Grand Prix. Tampa spent $2 million on a closed-circuit television surveillance system. 60 cameras were originally purchased and placed around the city, reported by the Tampa Bay Times in 2013.